This was quite evident on television when HBO introduced a series titled Monk, in 2009 that depicted Adrian Monk, a detective diagnosed with major OCD (Wortmann, 2013). However, the way his OCD was presented was distasteful and inaccurate. According to Fletcher Wortmann, author and individual diagnosed with OCD, the show was “hilariously inconvenient, painfully superficial, improbably untreatable OCD, which always involves counting and cleaning (because those are Hollywood’s very favorite OCD symptoms), and which can’t be managed, or even explained accurately to exasperated bystanders, because then there couldn’t be a show” (Wortmann, 2013). In other words, Pop Culture has no idea what they are talking about when it comes to the depiction of mental illnesses. They resort to the usual “cleaning out the room and closet” type scenario (which c’mon) how unoriginal can you be? In other words, media usually portrays patients with OCD with messy rooms, and so to treat their illness, the common thing to do is clean out possibly everything. The show started out with a lot of inaccuracies and misinterpretations about the illness, and Worthmann laid out specific points that bothered him and reading through, they troubled me as well. First, Monk’s therapist figured the best way to treat him would be to prescribe medications, which is a solution and treatment doctors use to combat the illnesss. But get this. His therapist was a psychologist, not a psychiatrist. The main distinction there is, psychologists do not have the license to prescribe medication. 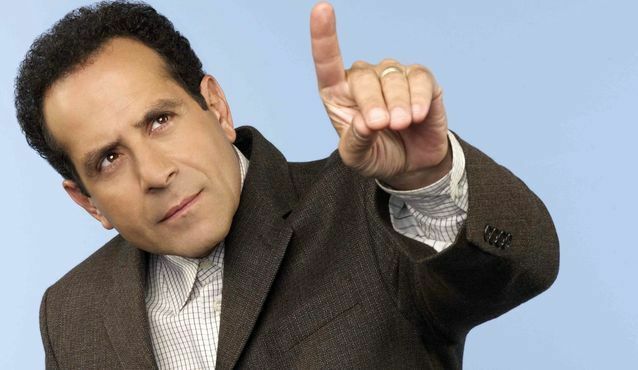 Another flaw in the script was that Monk engages in a conversation with his deceased wife. How typical of a television series to have people with OCD conduct a conversation with a ghost or someone in his head. Not all people that suffer with mental illness speak to a voice in their head or a ghost of the past. Last, but not least, it just so happened that as soon as Monk took his medication, he was instantly cured. Crazy, right? If the director and producer of this series knew one thing about mental illness, is that it takes years to treat, and it most definitely does not just get cured in a matter of minutes. The inaccurate portrayal on Monk with OCD and after he is “cured” is pretty sickening. They make him out to be some crazy lunatic who does not have a single ounce of ‘normal’ in him. When he is on his medication, they make him out to be a drunk. For example, he is depicted as lethargic and not able to pick up his head nor react to when people would be talking to him. This lazy and insensitive portrayal of medication combatting a psychiatric illness has no association with real medication used in OCD therapy. Wortmann states, “The episode portrays medicine as an indulgence, a way to hide from your problems instead of confronting them…” (Wortmann, 2013). Not only this episode, but also other ones, has shown inconsistency in depicting the severity of mental illnesses and treating it with care and accurate measures. Clearly, this show is superficial, inaccurate, and an insensitive misinterpretation of OCD and those that suffer because of it. My focus is to relate the social aspects of medicine to the everyday treatment of patients as physicians. I hope to learn about the underlying roots of illnesses with a stigma and raise awareness to these issues. Mental health is a prevalent issue in society and can be seen as "nonexistent" to some, especially in the South Asian community. I have witnessed depression in a few family members and close friends and want to learn as much as possible to help not only them, but others in the future. When I am not in class or studying, I love to dance and play tennis.